I was early for an appointment and took a leisurely stroll through Edison Park. 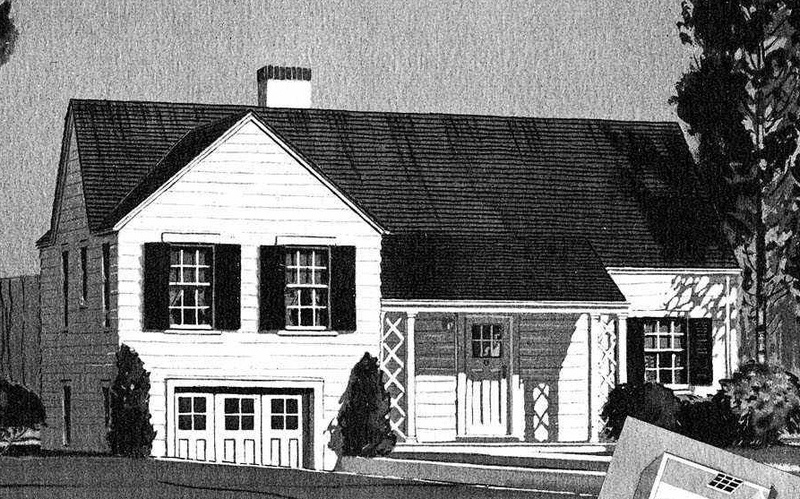 To my surprise (and delight), I stumbled across two very rare Sears homes on the same block. I was able to authenticate one of these homes as being from Sears Roebuck because the building permit was on file with the city of Chicago. As you might guess, Sears did not sell many homes in the heart of the Depression. Sears offered the Homestead beginning in 1933--one of the worst years on record for residential building. To date, I have located four Homesteads in Illinois and one in Maryland. This house in Edison Park looks much like the Homestead catalog illustration. but I was able to authenticate it anyway. "Sears Roebuck Co." is listed as the architect on the building permit, dated Nov 18, 1932. 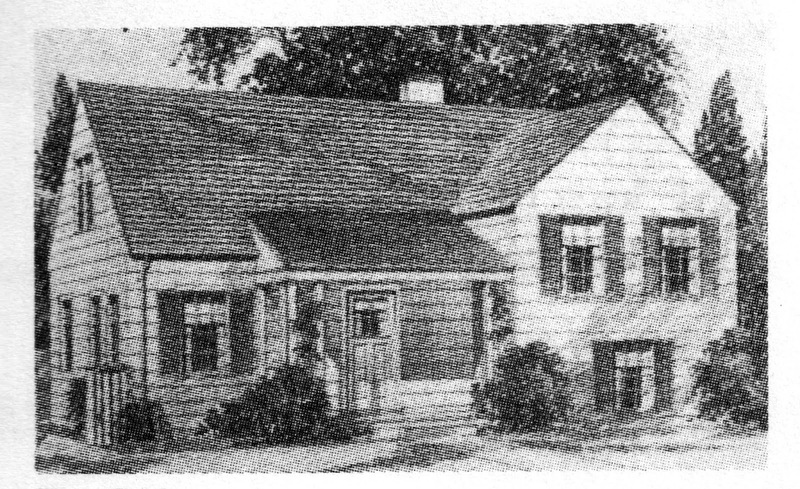 Sears normally issued their Modern Homes catalogs in the fall preceding the year on the catalog. So the 1933 catalog came out in fall of 1932, when construction started on this house. The original owner of the Homestead was George Leniak, a divorced father, and his daughter, Lesley. George was a printer for R.R. Donnelley and Sons. George owned the house until at least 1965, when he retired and moved to Wisconsin. Sears Old Town. Scan is from Houses by Mail. The Old Town was sold one year only-- in 1933-- and the only Old Towns that I have discovered are this one in Edison Park and another in Arlington Heights. The building permit for this house was issued October 23, 1932. I couldn't find the actual permit, though. I assume this Old Town was built by Frieden and Carlsen, the same contractors who built the Homestead. The original owners of the Old Town were William Mally, his wife, Mabel, and their two kids. William was an accountant. By 1942 they had sold the house to the Doctor family. Always great to authenticate -- you are really good with the Homestead.